Many memories tend to change as time goes on, sometimes becoming more drastic and dire or, the opposite effect, causing a more heartfelt reaction to what originally was something less impactful. According to some neuroscientists, memories are always adapting and changing. Sometimes we misremember memories as more impactful and emotionally driven, and then they become something we cherish and sometimes exaggerate. Think of your most impacting memory; it could be something like that one time you had an amazing experience with a friend or when you got the gift you had been waiting for on Christmas morning, or even the smell of candles that used to burn in your house. If you think you distinctly remember it, you are most likely wrong. Many times, the human brain likes to fill in gaps, and neuroscientists theorize that the mind will fill in emotions that are not completely based on the originality of the memory. Whether this habit of our brains makes these emotions and memories disingenuous is up to the individual. If you had to explain why you remembered those specific memories, what would you say? Many times, individuals do not have an answer to this question. One can speculate on why a memory impacted them, but time and time again this doesn’t always get completely identified. Personally, in the case of certain memories, I remember them distinctly involving situations of high impact such as visiting Disney World or playing video games for the first time. These are major points in my life that affected my future, but there are not distinct reasons that I can identify why I remembered these over a memory like working the first day of my job. Some people theorize that things are not remembered because of the excessive occurrence of the memory being over-stimulated. For example, getting a hug from a significant other. You might not remember your first hug with a significant other because hugging has become such an overstimulated area of memory. This also questions the other side of this argument involving why some people recall their first kiss even though that might be another overstimulated action. Some memories are remembered just on the basis that you recalled them commonly through the years. Maybe you keep recalling a dream you had when you were seven, or a random event that has no impact on your current life, but you continued to recall it throughout the years strengthening that connection. Many times, these situations can feel oddly unimportant, depending on the individual. Examples of memories being something completely wild and emotional lead me to make me think about art and candles. For me, art, paintings and candles are a large portion of emotion and memory invoking physical objects. Look at this picture of candles. Whether or not this invokes memories of specific smells and emotions depends on the individual. 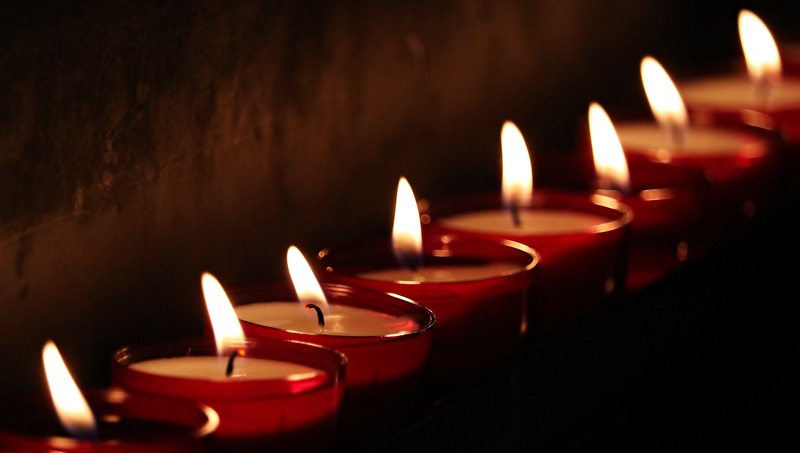 Some individuals based solely on seeing a picture of these candles might have memories pop in their heads and get sensations of smell and déjà vu. Now the sensations and response could change completely if these candles were blue getting a response based on your experience with blue candles whether good or bad. Another large example for me is paintings and art. Art can commonly invoke thoughts and feelings involving memories you haven’t even made. These feelings can feel as though you’ve experienced a life inside the painting but did not have any knowledge of it until now. Art can sometimes even invoke change in people’s behavior and mood as a whole. 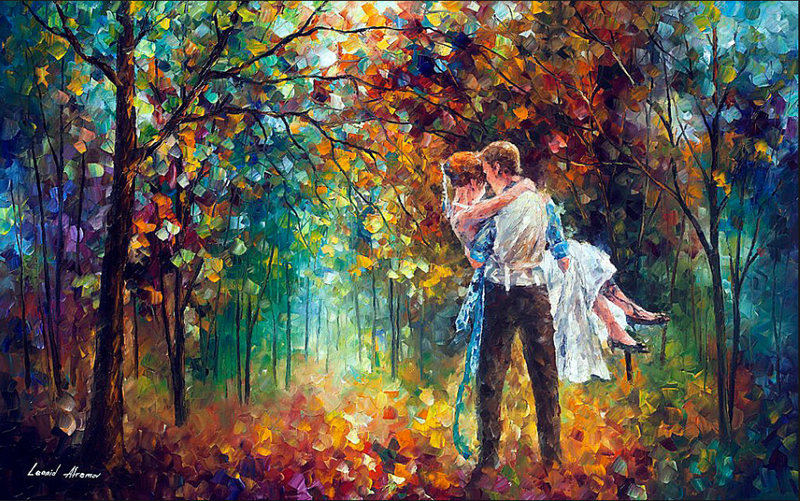 This piece of art here is called the moment of love. For me looking at this piece of art invokes feelings like the first time I fell in love or what it felt like to be outside on a beautiful day in the woods. Of course, these memories and correlations will differ depending on the individual, but the vast impact one picture can have really makes you think. Both the topic of memories being susceptible to change and being something of wonder and beauty play a large part in everyday life. It is something we don’t always think about or imagine in our day to day lives. These questions are something I like to point out as I truly want people to think about thought provoking topics like memory. We ask tough questions and explore all kinds of radical ideas here at UAT. You can learn more about our unique culture here.